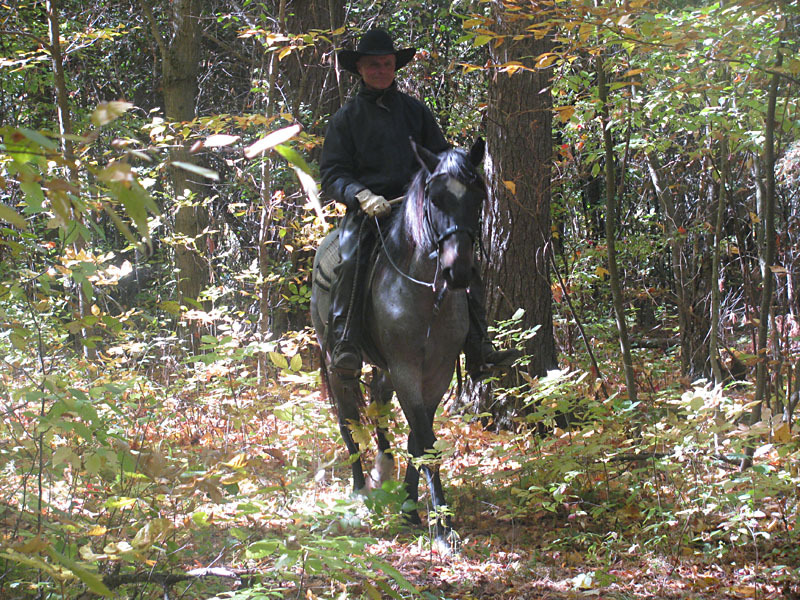 Movie producer and director Simon Wincer says: "Quiet man, quiet horse is the credo by which Randy Bird works. His extraordinary ability to win a horses trust and confidence has to be seen to be believed. It seems so right, so obvious and so perfect. I wish I had witnessed his method years ago! 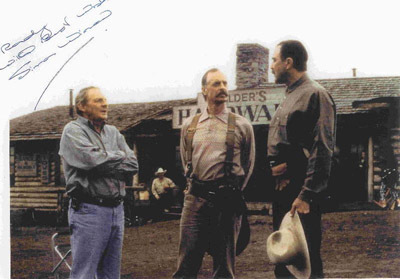 I have been around horses all my life, as well as producing and directing many major horse and animal movies including Man from Snowy River, Pharlap, Lonesome Dove, Free Willy, The Light Horsemen and Operation Dumbo Drop. It is so satisfying to watch someone who can communicate so clearly and calmly with an animal. And that is something all great trainers have in common! Don't miss the chance to see Randy at work. It is awe-inspiring." Randy Bird exudes a quiet confidence. One that doesn't need boisterous antics to back up his knowledge. This longtime horsemans roots are firmly planted in hard work and horses, competing in barrel racing and working with standardbreds from a young age. Many noticed his talent and questioned if he could make their horses as calm and responsive as the ones he was already training. 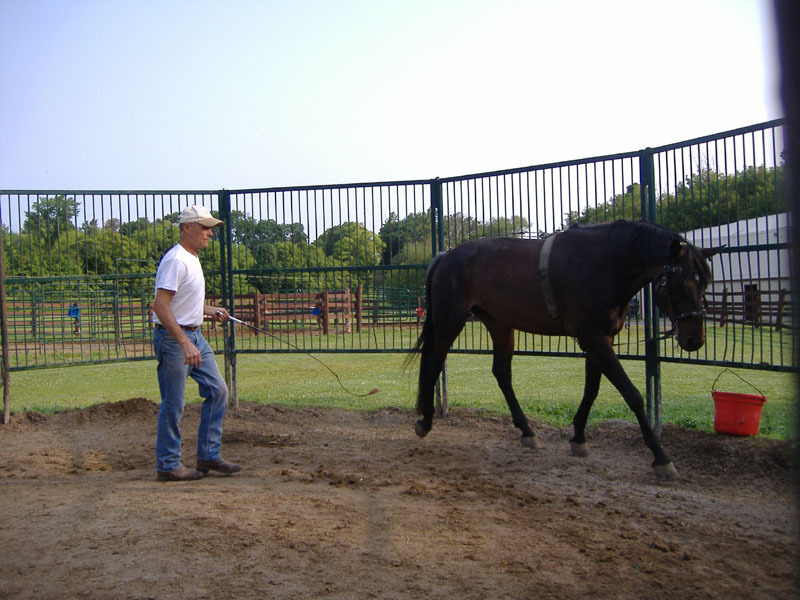 When Randy met Australian horseman Alan Barber in 1986, Barber imparted the training knowledge of the legendary J.D. Wilton. A trip to Australia with Barber and a load of horses changed his way of thinking, and ultimately his life. "When I saw what they were able to do with a horse, I realized this was what I wanted to do with my life and that if I couldn't do the same, I would never be happy in the horse business again," says Randy. "I have been using and adapting these methods to my needs in educating riding and driving horses ever since". 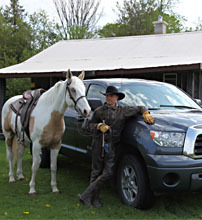 Randy now boasts an impressive client list spanning Canada and the United States, training horses to both ride and drive. Randy has noticed a renewal in the art of carriage driving and explains as horse people get older, they begin to look for fun and safe ways to stay involved in the equine community. Driving fits the bill as it allows the entire family to be involved from children to grandparents. "I want all the horses coming out of here to not only calmly accept the cart, but also to move out with complete trust no matter what the situation," says Randy. "We make every effort to ensure the horses are not only ready for these experiences but that the experiences will be safe, fun and enjoyable". Contact Randy for more information by calling (905) 342 - 3053, (905) 342 - 5557 or sending an email. 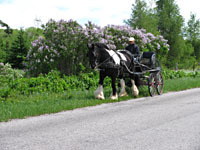 - Rates are $48.00 CDN per day with a 60 day minimum for riding or driving. Includes full board. 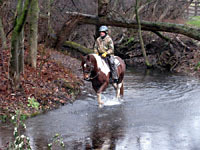 - Randy Bird Equine Solutions is a one on one course with horse and owner to help them solve any issues they might have. 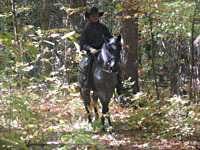 Randy and his team can help make you and your horse's life better by helping you become more safe and effective. 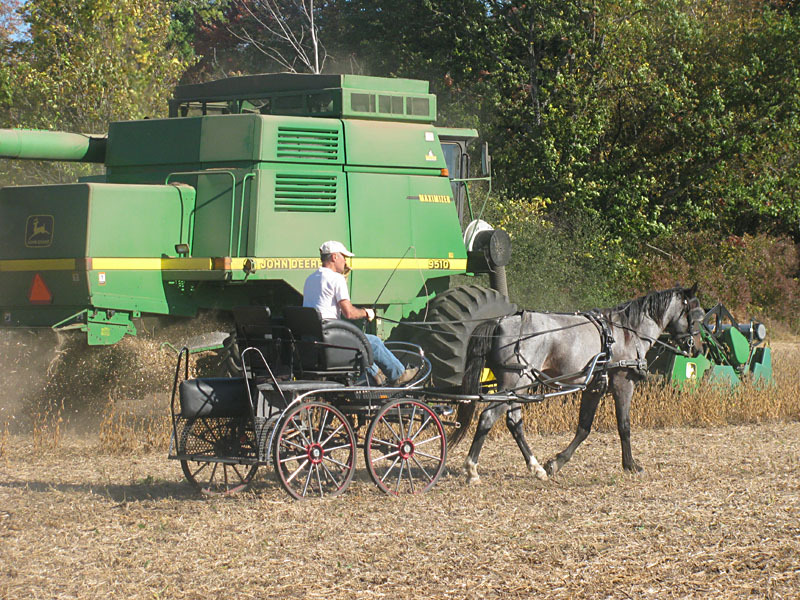 This program is held at our farm and allows you to come for an hour, a day, or a week. There is easy access to lodging and entertainment to help ensure your stay is fun and enjoyable. The rates are $75.00 per hour CDN Monday to Friday and $100.00 per hour CDN on weekends. 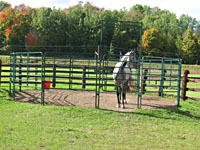 Stabling is $15.00 CDN per day. Reservations must be made ahead of time and by telephone only. - He's a crowd pleaser and gives audiences young and old a fun and educational experience. 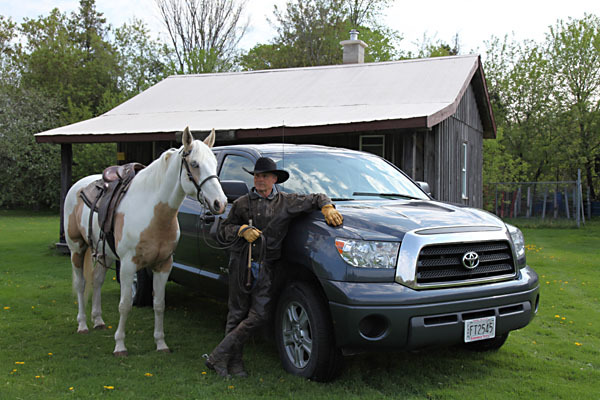 Randy Bird has appeared at agricultural fairs and expos across the US and Canada including Can-Am, the All About Horses show in Lindsay, Autofest Oshawa, the Columbia Grand Prix in Columbia Maryland and the Royal Agricultural Winter Fair in Toronto. - Buying a horse? Finding the right one can be a difficult task. 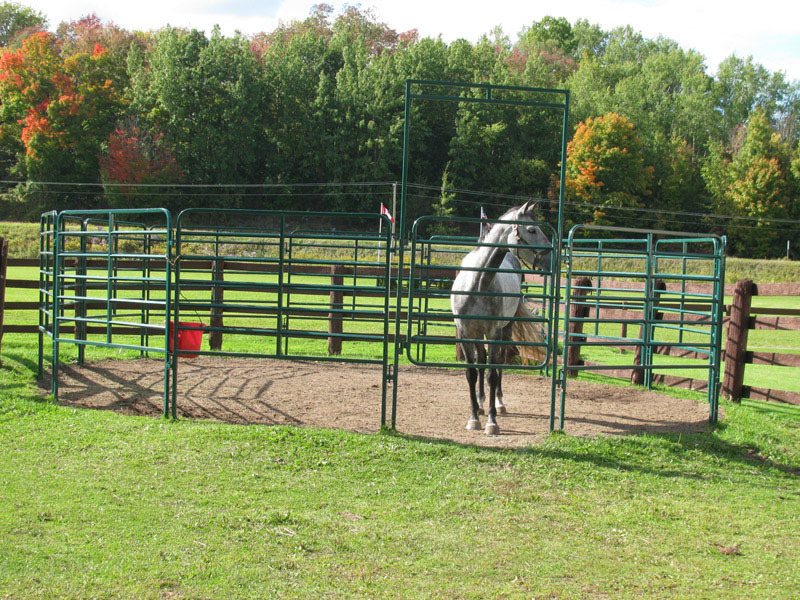 Let Randy Bird Equine Education take the worry out of this for you. After helping you find your new horse, we can also providing riding and / or driving training. 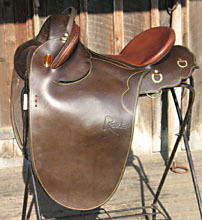 There will be a price agreed upon by both parties for this service before the actual purchase of the horse. - Driving lessons: Randy Bird offers a limited amount of driving lessons. 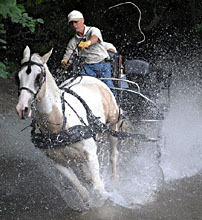 Randy has trained driving horses for coaching, racing, showing, combined driving and pleasure driving. This is a wonderful opportunity to gain knowledge from one of the best. Lessons are $75.00 CDN and run one hour in length. - Like our page to stay up to date on our performance schedule, interesting news and exciting pictures from day to day life around the farm. Click here to see more! "Randy Bird Marathon Harness" by Countryside Harness - Crafted from premium synthetic granite material to endure the toughest conditions and still look stunning. Available in black only with silver hardware and in draft, large horse and small horse sizes (single or pair). 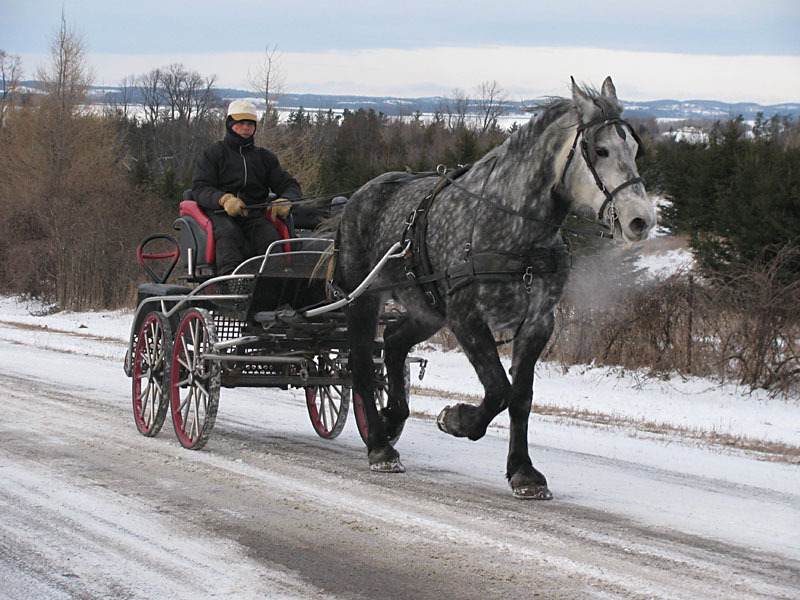 Order the Randy Bird Marathon Harness through Randy Bird himself or by contacting Countryside Harness at 4441 Lavery Rd., R.R.1, Wallenstein, ON., N0B 2S0 or by phone at (519) 698 - 2039.